– Mar. 9. 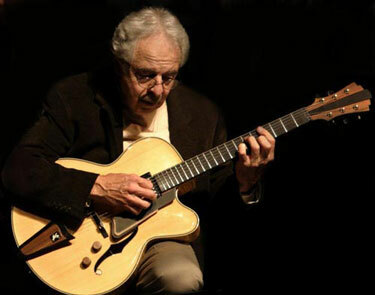 (Tues.) John Pisano’s Guitar Night. John Pisano trades riffs with Pat Kelley, who has transformed his Oklahoma roots into an amiable, highly personal guitar style. Ralph Humphrey, drums and John Belzaguy, bass, provide sturdy back-up. Vitello’s. (818) 769-0905. – Mar. 9. (Tues.) Bill Watrous and the San Gabriel 7. Virtuoso trombonist Watrous leads his seven piece band in a collection of Latin, jazz and funk music. Singer Katie Campbell adds enticing vocal stylings. Catalina Bar & Grill. (323) 466-2210. Mar. 9. (Tues.) A Special Benefit Tribute to Francisco Aguabella. The Banda Brothers, with guests Pete Escovedo and Sheila E. lead a tribute performance to benefit the now ill, legendary Cuban drum master. Other scheduled performers include Alex Acuna, Justo Almario, Poncho Sanchez, Danilo Lozano, John Clayton and many others. Steamers. (714) 871-8800. Mar. 9. (Tues.) Night of Radical Guitar: Janet Feder and Miroslav Tadic with Vinny Golia. Guitarists Feder and Tadic join up with multi-woodwind instrumentalist Golia to explore the outer limits of eclectic improvisation. South Pasadena Music Center and Conservatory. (626) 403-2300. – Mar 10. (Wed.) Orchestre Philharmonique de Radio France. An evening of Maurice Ravel, with Daphnis et Chloe, Ma Mere L’Oye and La Valse on the program. Mezzo-soprano Anne Sofie von Otter joins the ensemble for Shehereazade. UCLA Live at Royce Hall . (310) 825-2101. – Mar. 10. (Wed.) Scott Martin’s Latin Soul Band. After fourteen years in the Grammy-winning Poncho Sanchez Latin Jazz Band, saxophonist Martin is now fronting his own Latin ensemble. 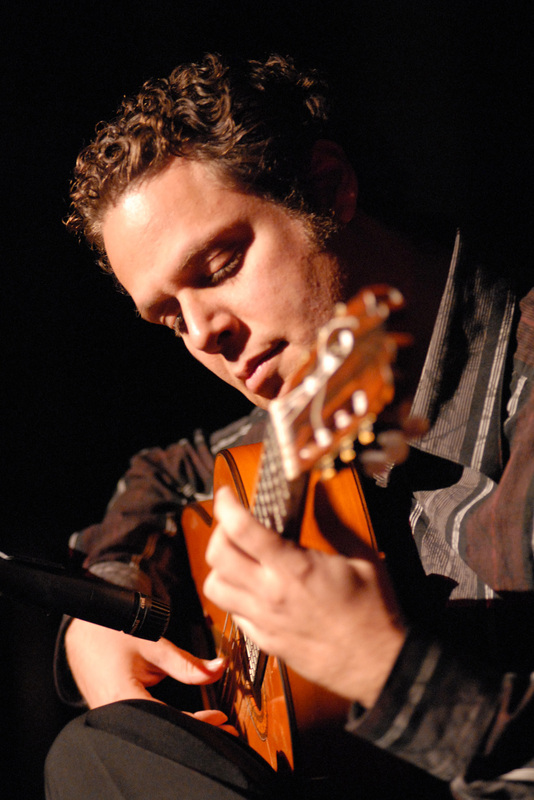 His latest CD, Only Trust Your Heart, finds him surrounded by the lush rhythms and rich harmonies of Brazil. Vibrato. (310) 474-9400. – Mar. 10. 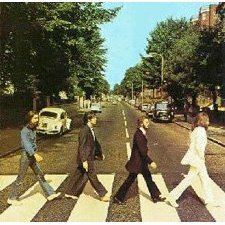 (Wed.) Classic Albums Live: The Beatles’ Abbey Road. It’s a tribute performance in which the emphasis is on authentic musical reproduction, without the costumes and wigs. Irvine Barclay Theatre. (949) 854-4646. – Mar. 10 & 11. (Wed. & Thurs.) Babatunde Lea Quintet. The veteran, master percussionist leads a stellar ensemble in a tribute to the late, great singer Leon Thomas. With Ernie Watts, saxophones, Patrice Rushen, keyboards, Gary Brown, bass and vocalist Dwight Trible. Catalina Bar & Grill (323) 466-2210. – Mar. 11. (Thurs.) Joe La Barbera Quintet. Drummer La Barbera takes a leader’s role, fronting the all-star assemblage of trumpeter Clay Jenkins, saxophonist Bob Sheppard, pianist Bill Cunliffe and bassist Tom Warrington. Charlie O’s. (919) 994-3058. – Mar. 11 & 12. (Thurs. & Fri.) Matt Slocum. Rising young jazz drummer Slocum celebrates the release of his CD, Portraits. With Dan Lutz, bass and Josh Nelson, piano. Thurs: Crown Plaza Brasserie Jazz Lounge. (310) 642-7500. Fri.: Café Metropol. (213) 613-1537. – Mar. 11. (Thurs.) Hiromi. Japanese keyboardist Hiromi is building a style that reaches out to embrace everything from high voltage electronica to swinging, straight ahead jazz. A Jazz Bakery Moveable Feast. (310) 271-9039. Japan America Theatre. – Mar. 12. (Fri.) The Stan Kenton Alumni Band. Mike Vax lead alumni from the 1956-1978 Stan Kenton Orchestras through a program of Kenton classics. Chapman Auditorium, Chapman University. (714) 997-6871. – Mar. 12. (Fri.) Dave Pell & Med Flory. A pair of veteran saxophonists have fun with the alto and tenor saxophone frontline format, at one L.A.’s most cozily intimate jazz clubs. The Back Room at Henri’s in Woodland Hills. – Mar. 12. (Fri.) Gary Foster and the Pat Senatore Trio. Busy studio woodwind player Foster doesn’t spend much time as the front man in a jazz ensemble. So don’t miss this chance to hear his superb saxophone playing, backed by a solid rhythm section. Vibrato. (310) 474-9400. – Mar. 13. (Sat.) Vinicio Capossela. 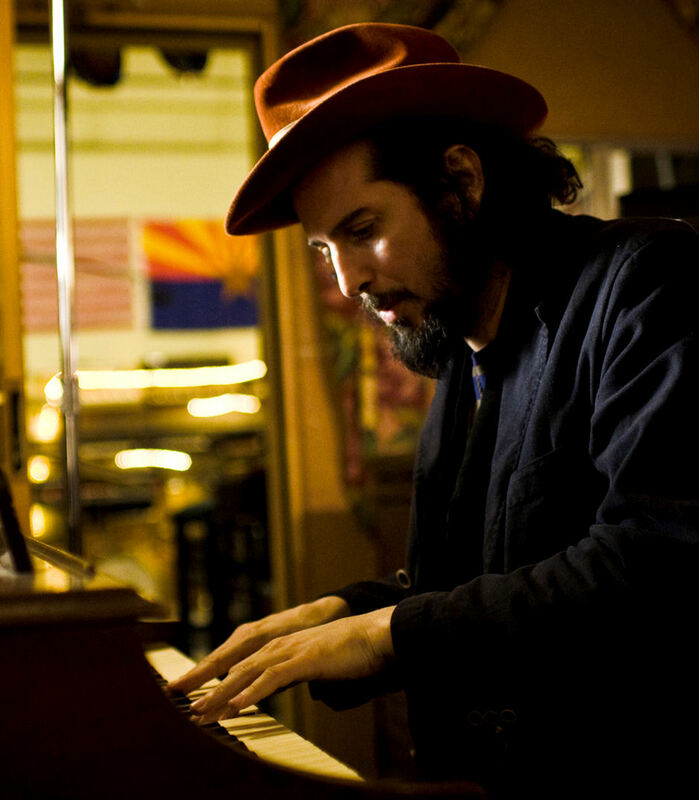 The Italian singer/songwriter’s performances are as unpredictable as the dark balladry of Tom Waits and the capriciousness of Tom Zé, spiced with his own unique stylings, which can reach from a tarantella or a tango to a high spirited love song. The El Rey. (323) 936-6400. – Mar. 13. (Sat.) Bill Cunliffe’s Imaginacion Quartet. The ever-versatile, always musically curious pianist Cunliffe applies his musical insights to songs with a Latin tinge (as Jelly Roll Morton would have described it). Vibrato. (310) 474-9400. – Mar. 13. (Sat.) Andrea Marcovicci. I’ll Be Seeing You…Love Songs of World War II. Singer Marcovicci knows how to get to the heart of a song, and there’s no collection of songs filled with more heartfelt emotions than the songbook of World War II. Thousand Oaks Civic Arts Plaza. – Mar. 13. (Sat.) John Beasley Jazz Circle. Multi-instrumentalist Beasley sticks with the keyboards this time, leading the musically intriguing ensemble of Dwight Trible, vocals, Oscar Seaton, drums and Ian Martin, bass. Vitello’s. (818) 769-0905. – Mar. 13 & 14. (Sat. & Sun.) The Wailers. The group that has virtually defined reggae music since the ’60s is in town for a pair of performances to support their “I Went Hungry” world food program. On Saturday, they appear at Brixton in Redondo Beach (310) 406-1931; on Sunday they’re at the Galaxy Concert Theatre in Santa Ana (714) 957-0600. – Mar. 14. (Sun.) Larry Coryell and “Bombay Jazz.” Guitarist Coryell explores the compatible linkages between jazz and Indian classical music. With saxophonist / composer George Brooks, Indian bamboo flutist Ronu Majumdar and tabla player Aditya Kalyanpur Jazz Bakery Moveable Feast. Largo – Coronet Theatre. (310) 271-9039. – Mar. 14. (Sun.) Adam del Monte. The master flamenco guitarist celebrates the release of his new CD, A Cry in the Dark with a concert (no dancing) of all new compositions. His ensemble includes Enosh del Monte, violin, Emir Isilai, keyboard, Asaf Kofler, bass and Gerardo Morales, percussion. The Fountain Theatre. (323) 663-1525. – Mar. 14. (Sun.) Traps ‘n’ Taps: A Brief History of American Rhythm. The California Jazz Foundation presents an entertaining Sunday jazz brunch featuring versatile dancer, choreographer, bandleader and film archivist Chester Whitmore and drummer Clayton Cameron. Catalina Bar & Grill (323) 466-2210. – Mar. 11 – 14. (Thurs. – Sun.) John Scofield’s New Jazz Quartet brings the versatile guitarist back to a steady jazz orbit. With Mulgrew Miller, piano, Ben Street, bass and Kendrick Scott, drums. Yoshi’s Oakland. (510) 238-9200. – Mar. 12 – 14. (Fri. – Sun.) NEA Jazz Masters All-Stars. An assemblage of great jazz veterans display the skills of their lifetimes in the music. Bobby Hutcherson, vibes, Jimmy Heath, tenor saxophone, Slide Hampton, trombone, Cedar Walton, piano. Yoshi’s San Francisco. (415) 655-5600. – Mar. 8 – 11. (Mon. – Thurs.) Cassandra Wilson. The inimitable Wilson, her voice one of the unique sounds in contemporary jazz, brings storytelling insights to material reaching across the full range of song. The Blue Note. (212) 475-8592. – Mar. 9 – 13. (Tues. – Sat.) John Pizzarelli’s “Swing 7.” Pizzarelli’s swinging four- horn band provide a solid foundation for his songs and guitar, wife Jessica Molaskey’s crystal clear voice, and the wit and humor of the most entertaining show biz couple since Sonny & Cher. Birdland. (212) 581-3080. – Mar. 9 – 14. (Tues. – Sun.) Bill Charlap Trio. Pianist Charlap and his sturdy companions — Peter Washington, bass and Kenny Washington, drums – bring maturity, musical insight and downright swing to everything they play. Dizzy’s Club Coca-Cola. (212) 258-9595. – Mar. 10. 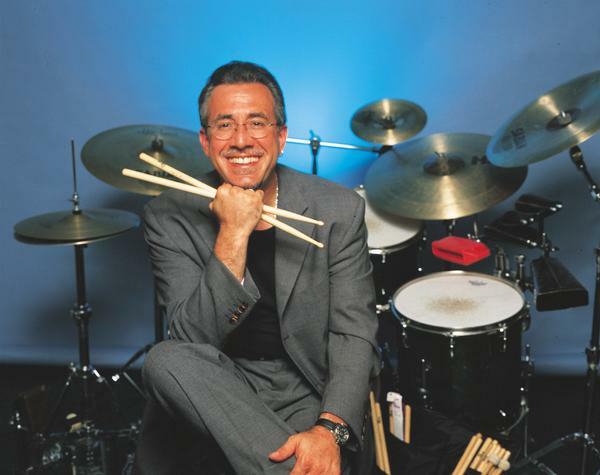 (Wed.) Bobby Sanabria Big Band. Post Mamboism in the 21st Century Continues! 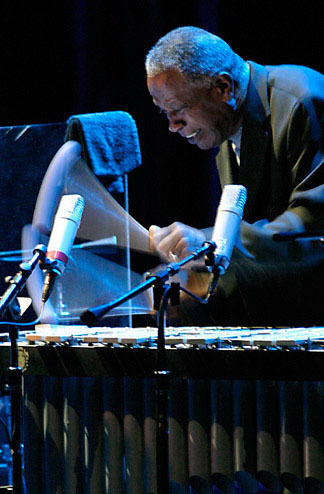 Grammy nominated percussionist Sanabria affirms the vitality of big band Latin jazz. FB Lounge. (212) 410-7292. – Mar. 11. (Thurs.) Lew Tabackin. Highlights in Jazz celebrates the playing of saxophonist Tabackin with his wife, pianist/composer Toshiko Akiyoshi, drummer Lewis Nash, bassist Boris Kozlov, trumpeter Joe Magnarelli, and guitarist Jack Wilkens plus a Very Special Guest. Tribeca Performing Arts Center. (212) 220-1460. – Mar. 11 – 14. (Thurs. – Sun.) The Charles McPherson Quintet featuring Tom Harrell provides dynamic proof that bebop continues to stimulate compelling new musical ideas. With Jeb Patton, piano, Ray Drummond, bass and Willie Jones III, drums. Jazz Standard. (212) 576-2232. – Mar. 12 – 14. (Fri. – Sun.) Roberta Gambarini. 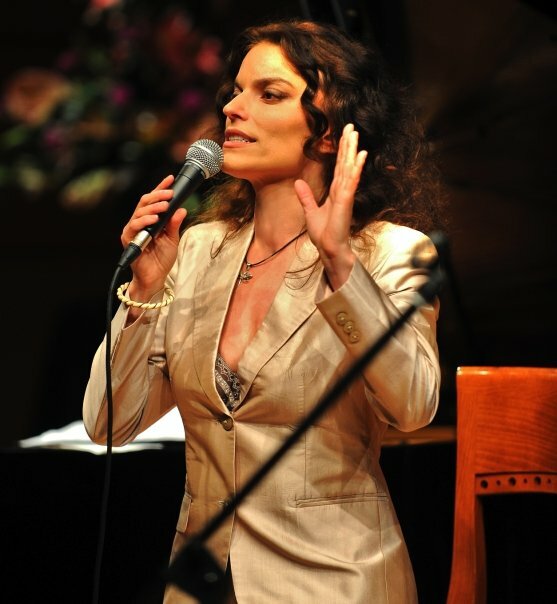 The Italian-born vocalist has a remarkable instrument, with training and skills to match. But it’s what she does with that admirable combination that makes her one of the unique 21st century jazz singers. The Blue Note. (212) 475-8592. – Mar. 9. (Tues.) Rose Colella Trio. An Evening of Academy Award Winning Songs & Colella applies her lyrical vocal style to songs from films such as “The Gay Divorcee,” Pinocchio,” “Cabin in the Sky” and “Breakfast at Tiffany’s.” Katerina’s. (773) 348-7592. – Mar. 12 & 13. (Fri. & Sat.) Mike Melvoin Trio. Long time L.A. jazz star Melvoin returns to his home Midwest territory to refresh his musical roots. Singer (and actress) Theresa Russell will sing a few tunes from the Melvoin Songbook, and they’ll be backed by Larry Gray, bass and Charles Heath, drums. Club Blujazz. (773) 360-8046.